Biggest Way to Lose a Bankruptcy Discharge People file bankruptcy to get a discharge (wipe out their debt). But if you lie on your bankruptcy petition, you could be prosecuted and not get your discharge! Bankruptcy can help you get out from under a crushing debt load, get you a fresh start, and make life better for you. But there are rules that need to be followed, because a failure to do so can result in your losing your fresh start and get you into a lot of trouble! The simplest way to do this is to commit bankruptcy fraud. The IRS states that roughly 10% of all bankruptcy filings have some sort of fraud being committed in them. In 2013, 1,071,000 bankruptcies were filed, which would mean 107,100 bankruptcy frauds! Hiding Property. This is the biggest way to commit fraud. You don't want the trustee to sell it, so you don't list it or list it with a grossly deflated value, so as to fit within the limits of an exemption. This includes transferring an asset to someone and not disclosing it. This also goes for sources of income, as you may have the financial wherewithal to enter into a debt repayment plan, but don't want to, so you understate your income or overstate your expenses. Giving False Statements. A bankruptcy petition is a statement made under oath, like an affidavit. When you sign it, you are swearing to its accuracy. So if you misrepresent or omit a fact, that is fraud. Filing Multiple Times. There are limits in bankruptcy law on the number of times you can wipe out debts in bankruptcy. So using a false name or Social Security number, or filing in a different state, to get around this is another kind of fraud. Trustee Fraud. This is fraud committed, believe it or not, by the trustee assigned to the case. Most commonly, this involves a debtor bribing the trustee. Believe it or not, this does happen. 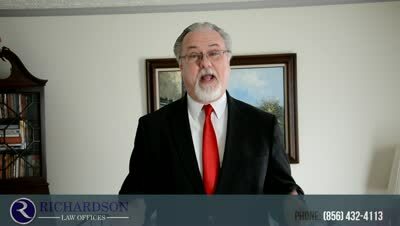 What is the penalty for bankruptcy fraud? The fine is up to $250,000, plus a prison sentence of up to five years! This is in addition to a denial of discharge of your debt, which means you will never be able to get rid of it! If you are looking into filing bankruptcy, you need to be completely honest in all of the disclosures required of you. It may be tempting to fudge a few facts out of fear of losing an asset, but the consequences of getting caught are far worse! What If I Filed Bankruptcy Before; Can I File Again?